The following poem was written on a visit to Cape Town. I was struck by how the city behaves as a microcosm of the wider world; with global culture and wealth, living next to extreme poverty. I would say, “rubbing shoulders with poverty” — but that would be an exaggeration, as the people are isolated from each other by security gates, walls, cars, and most of all fear. 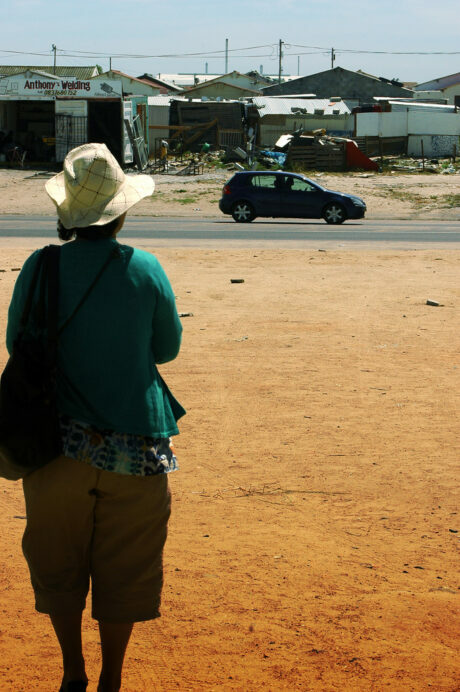 One day this came into focus as we visited the massive township of Khayelitsha, and from there we were taken to the southern hemisphere’s largest shopping mall — the contrast couldn’t have been more disturbing. we shop beneath golden arches.